Apple's ARKit for iOS 11 makes it relatively easy for developers to take advantage of the company's augmented reality features, and gives consumers the opportunity to interact with a virtual world layered over your actual environment. Augmented reality games are certainly the flashiest way to demonstrate its many uses, but some of the best augmented reality apps aren't games at all. These AR tools for iOS empower you with the tools you need to establish some sense of order in your home, plan for the future (in terms of what couch you're going to buy this spring) and get started on some home improvement projects without lifting a hammer. Hanging some blackout shades? Buying a table? Unless you've got yourself some printed labels measuring everything in your home, it's probably a hassle to figure out just how long that curtain rod needs to be, or how many people that two-topper can comfortably seat (uh, two). Plus, you probably forgot where you put that tape measure that came with your cheap starter pack toolkit you bought to mount your posters. Want to do even more with your measurements? You can use Tapmeasure to create a 3D model of your entire home you can upload into apps like SketchUp (or other architecture and design apps, though you'll probably need to convert the .skp file in SketchUp first). You might have all the measurements necessary for your interior design project saved in Tapmeasure, but for measuring everything else, try Measure 3D Pro. The AR measurement app can handle your standard measurements, tell you how far you are from your subject, and even measure a person's height using facial recognition (or multiple people at once, which is neat). Need to make some more complex estimates? Building a tetrahedron in your backyard that will double as a dog house? Measure 3D lets you assemble a variety of shapes, from simple triangles to complex polygons, and adjust your shape by extruding it, just in case you need to adjust the designated allotment for your comic book collection by an extra inch or two. You can also calculate measurements like area and volume, and walk around your final result to get a clear picture from all sides of your latest virtual project. Trying to outfit your new apartment with some functional furniture that will actually fit? Use your camera and IKEA's Place app to size up what you need before you actually buy it. 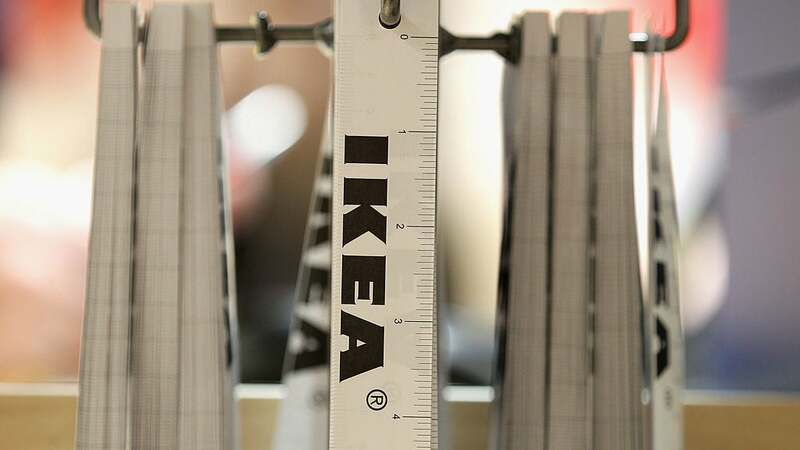 You've only got access to IKEA's catalogue of furniture, of course, and you won't be previewing anything like a set of silverware, mostly tables, chairs, couches and other large items you should probably measure before you purchase. Still, the app's ability to offer previews of what that new dresser will look like next to your existing bed frame is useful enough to put the Swedish furniture store a little higher up on my list of places to snag tiny chairs for my tiny apartment.